A few weeks back, I was drinking with some buddies at a writers’ convention when I felt a tap on the shoulder. “I want to introduce you to a fan,” someone said. Like any dignified author at this stage of my career, I whipped around so fast that the Brooklyn Lager bottle nearly flew out of my hand. A man in his sixties stood before me with his hand out—square-jawed, clear-eyed and firm of grip, in a well-tailored suit. He looked like exactly the kind of well-respected man who smiles and says “I don’t read novels” when I meet him in other circumstances. Exactly the kind of reader I’ve been trying to win over for most of my career. A prosecutor, I was told. Even better! Someone who had been in the trenches and would appreciate the nuances and shades of gray I tried to bring out in my novels. “I just want to see you people get it right,” he said, shaking my hand. Of course, he was talking about one of the broadcast network television series I’ve written for. The ones in which justice usually wins out in the end, and the police and prosecutors are unmistakably the heroes. We exchanged a few more pleasantries and then went back to our conversations. And quietly, I laughed at myself. Of course, he was talking about one of the broadcast network television series I’ve written for. The ones in which justice usually wins out in the end, and the police and prosecutors are unmistakably the heroes. Now don’t get me wrong. I’m not anti-cop by any means. In fact, I wanted to be a police officer for most of my childhood. And I don’t even think it’s enough to say, as many leftists like myself grudgingly do, “the police have a tough job.” There are parts of police culture that I don’t just respect, I envy. The hard work, the diligence, the ability to knock on doors day and night and talk to literarily anyone. And the humor. For Christ’s sakes, no one tells darker jokes or can make you laugh harder than an honest cop after a few drinks. I have more than a few good friends who I revere in various police departments, and truth be told there have many years when I would have had a very hard time doing my job without them. Their stories need to be told, and I’m proud to have been among the people telling them, and grateful to have had the opportunity. But those aren’t the only stories. About a month after the writers’ convention, I had lunch with a guy I know named Sundhe Moses. We met at Junior’s, on Flatbush Avenue in Brooklyn, near the housing project where he grew up. Sundhe spent 18 years in prison for allegedly shooting and killing a four-year-old girl as she roller-skated past a building in Brownsville. Earlier this year, Sundhe’s conviction was overturned and his name was cleared. In the decision, the judge cited the involvement of one Detective Louis Scarcella, who Sundhe said had coerced him into making a false confession by beating him and choking him. Scarcella denied doing any such thing, but it’s worth noting that twelve other convictions have been overturned so far in cases where the same detective is said to have abused defendants, fabricated confessions, and—this is true—used the same crack addict-prostitute as a key witness in six separate investigations. Now it just so happens that I’m about to publish a novel about a cop who may be a serial killer. Such a thing is possible. A former California police officer named Joseph DeAngelo now stands accused of being the Golden State Killer, responsible for at least a dozen murders and more than fifty rapes over a forty-year period. And there are other cases around the world, including the infamous 10 Rillington Place killer John Christie, a War Reserve police officer who raped and strangled seven women in the 1950s. But my novel, Sunrise Highway, isn’t really about that kind of individual pathology. It’s about how the rest of us could allow it to happen, in smaller ways, by being complacent, self-satisfied, or comfortable with the status quo. Making the decision not to ask the wrong questions at the wrong time, because it would unsettle the system and make our lives more complicated. I wanted to tell a story about the pathology of a system that would not only permit a criminal to survive within it, but to rise up and get promoted as a leader (obviously, that couldn’t happen in, say, politics or corporate life). Yes, there have been books, a few movies, and a couple of TV shows like The Shield about individual dirty cops, but those are the exceptions. Most audiences want the lines between good and evil to be drawn clearly, and they want the heroes to trail no shadows in their wake. I wanted to write a book that asked some tougher questions about the world we’re living in. I think it’s no accident that there’s never been a long-running TV show (at least none that I can think of) about a lawyer or a cop who defends the innocent and gets them out of jail. People want familiar stories after a long day at work and they certainly don’t want to be lectured. And I don’t blame them. I’m not in the business of lecturing anybody or showing them the light anyway. What I do want to do is give you something you’re not expecting, a suspenseful story from an angle that you might not have considered. And if you’re alive these days and halfway sentient, you have to admit the good guys aren’t always good. And getting down to the reality of that can be as riveting and scary as Silence of the Lambs. If you’re alive these days and halfway sentient, you have to admit the good guys aren’t always good. At the end of our meal, Sundhe, who is writing a book about his experiences, started talking about the difference between real life and what you see on the screen. “Yeah?” I shrugged and picked up my water, thinking it could be one of a thousand films. This entry was posted in ebook, Publishing and tagged creative nonfiction, crime, Daily Writing Tips, DailyWritingTips, detective, editing tips, fiction, fictional character, tips, writing tips on September 6, 2018 by First Edition Design Publishing. First Edition Design Publishing has released LJ King’s debut novel The Morphine Murders. The Morphine Murder’s protagonist Raina Prentiss jeopardizes her relationship, her job, a friendship, and maybe her life in LJ King’s breakout murder mystery. Prentiss goes full force into a double murder investigation without a badge, superpowers, or a vampire boyfriend. Raina Prentiss never imagined that she would investigate a homicide beyond the comfort of her couch, armed with a remote, but that’s exactly what happens when she inadvertently finds circumstantial evidence connecting her boss to not one, but two local murders. With the reluctant approval of her police lieutenant boyfriend, Danny, she launches Mission Bottle to obtain her boss’ DNA. She recruits her co-worker, Tyler, to divert their boss’ attention while Raina sneaks around and swipes his water bottle. But a simple waft of Tyler’s scent, or the heat from his body, transports her back to the feeling of the feather-light pressure of his mouth on hers, teasing her, taunting her, during the passionate kiss she found herself entwined in a few weeks prior. With no DNA found at the crime scenes to match to their sample, Raina together with Tyler, and Danny and his detectives, continue to investigate. Because of her easy access to her boss, Raina is convinced that she is the key to obtaining proof and solving the case. Determination blinds the risks incurred by hunting a killer, as Raina uses inside information from Danny to plan her next mission. LJ King’s 252 page suspense filled thriller The Morphine Murders is available in hardcover, softcover and ebook formats at all on-line booksellers. 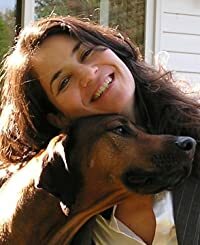 When New York author LJ King isn’t defending her position that she is not an eccentric recluse but a focused writer, she is out of her office at the beach, playing tennis, gardening, and doing things with people. First Edition Design Publishing is the world’s largest eBook and POD (Print On Demand) distributor. Ranked first in the industry, First Edition Design Publishing converts, formats and submits Fiction, Non-Fiction, Academic and Children’s Books to Amazon, Apple, Barnes and Noble, Sony, Google, Kobo, Diesel, 3M, Ingram, Baker and Taylor, Nielsen, EBSCO, and scores of additional on-line retailers, libraries, schools, colleges and universities. The company also has a POD division, which creates printed books and makes them available worldwide through their distribution network. The company is a licensed and approved Aggregator and holds licenses with both Apple and Microsoft. This entry was posted in Uncategorized and tagged crime, investigation, lj king, murder, mystery, suspense, the morphine murders, thriller on July 13, 2012 by First Edition Design Publishing.